I’ve been planning to exchange my current notebook for a Tablet PC for quite a while. 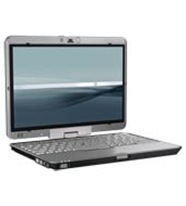 Few weeks ago, I finally got it over with and now I’m a proud owner of a HP 2710p convertible Tablet PC. Needless to say that during the last weeks, as always with new toys, I spent an excessive amount of time configuring my new device and installing and trying out every application I could find out there. So why not share a few of my discoveries?! 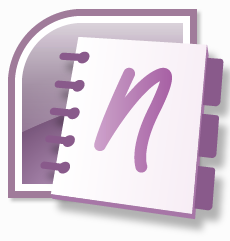 My favorite application for Tablet PCs absolutely is OneNote 2007. I’ve been using this application even on ordinary computers over the last months and it’s still a whole lot better on Tablet PC. Take (handwritten) notes, organize stuff, capture web pages, screenshots, … and all with just a few easy clicks with your stylus. Fantastic! As said before, OneNote can also be used on ordinary PCs which means there’s has to be a certain compromise regarding its interface to be usable by both stylus and keyboard / mouse users as well. 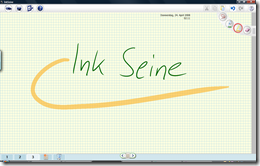 For the heavy stylus users among you, I found another application called InkSeine at Microsoft Research. It’s not an actual product but as one might guess an application with the purpose of research and testing of new techniques in mind. Nevertheless it’s user interface is designed for heavy pen use and even better, searching the Internet or documents on your computer and linking or inserting the results is completely integrated into this interface. This application is really worth a shot. Nevertheless I should mention the lack of textual input and support for non-Microsoft applications such as Firefox or OpenOffice. Besides, there is a problem with the integrated search functions not being compatible with the current Windows Search 4 Technology Preview. Having said that, I’d like to make a short side note: You should definitely try out the tech preview of Windows Search 4 (available for Windows XP and Vista). It’s just so much faster and more responsive than former version that I wouldn’t wanna live without it anymore. But remember: InkSein’s integrated search functions won’t work anymore after installing the tech preview of Windows Search. Another note taking tool by Microsoft. 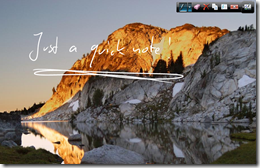 Ink Desktop allows you to take handwritten notes directly to your desktop. That’s a really handy thing for stylus users. Now you won’t only put recently downloaded files or documents you’re currently working on on your desktop but important notes, too. Handwritten, quick, easy! The Vista Snipping Tool, OneNote 2007 and InkSeine are already doing a good job on taking screenshots quickly and easily, nevertheless there’s an even better way. 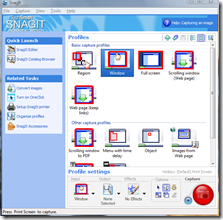 SnagIt allows you to easily take screenshots not only of your whole desktop, a single window or a certain region of the screen but also of webpages, preserving links (if you wish so) and windows with content that requires scrolling. SnagIt’s the definite standard when you’re talking about screen capture. Try it out!